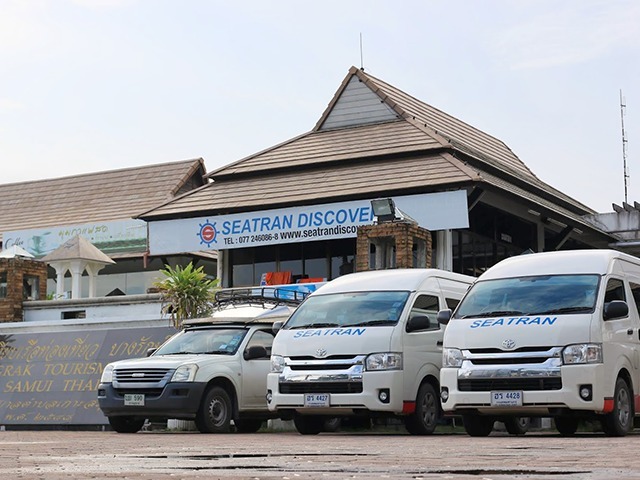 Daily bus & ferry trips all year round from Krabi to Koh Samui by Songserm Ferry, SEATRAN Discovery High Speed Ferry and Lomprayah High Speed Catamaran with a convenient hotel pickup service in Ao Nam Mao, Ao Nang and Krabi Town. 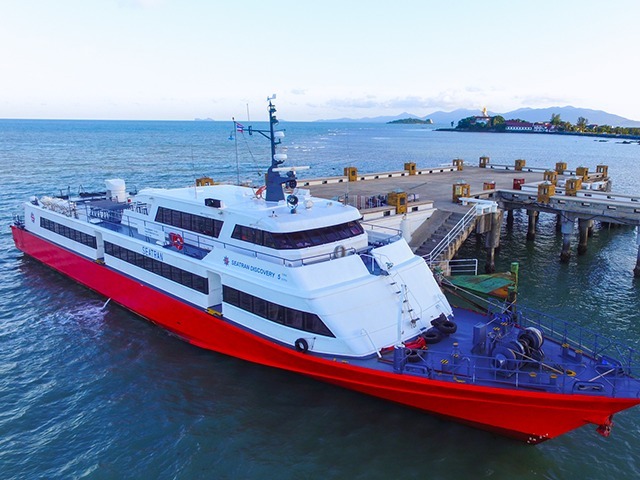 Get a bus & ferry in one joint ticket, a direct bus without stopover, the ferries connect directly from Donsak pier to Nathorn or Bangrak pier at Koh Samui. 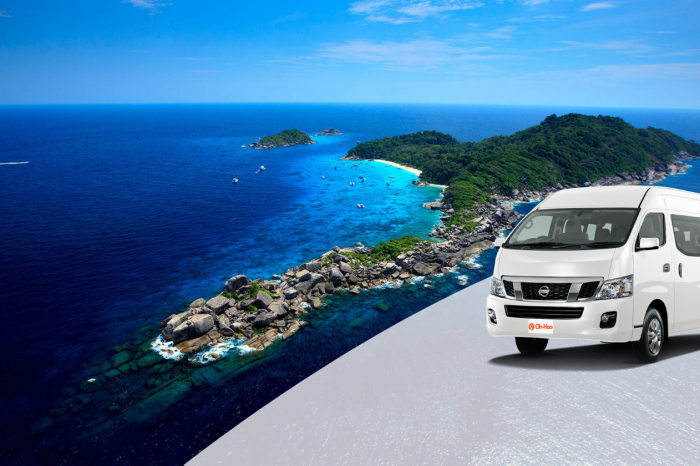 Koh Samui is the one of paradise island that has many tourists around the world dream to be there. 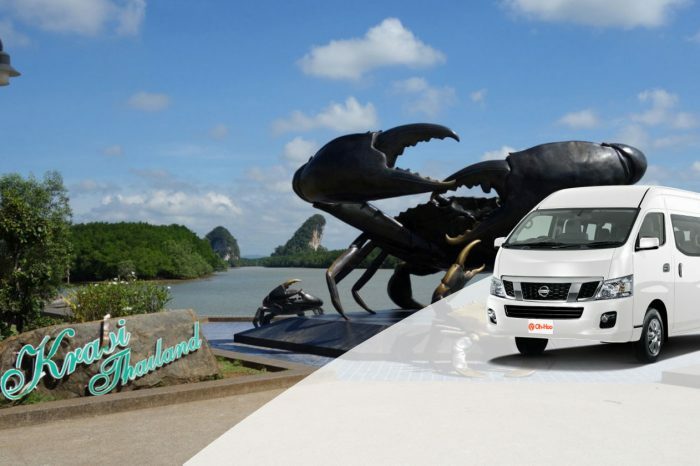 It’s part of Surat Thani Province, Thailand’s second-largest island after Phuket. 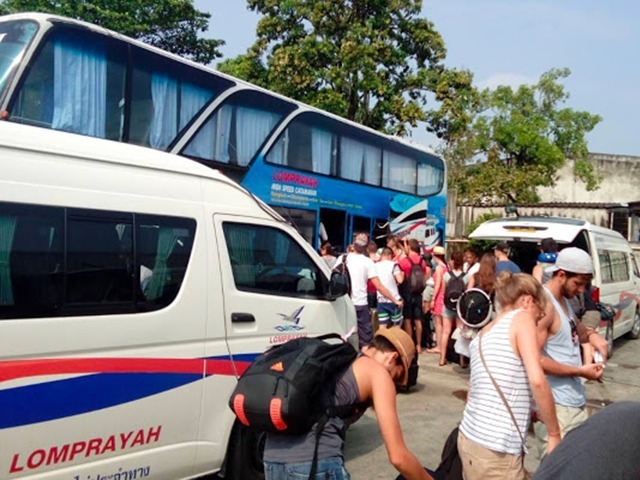 Travel to Koh Samui is very easy by bus and ferry, the bus is quite comfortable with air conditioner , including pickup service at your hotel from every destinations. 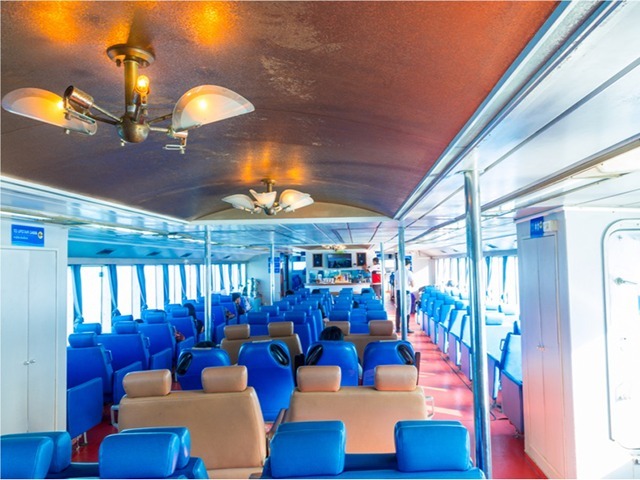 It’s 4-5 hours journey from Krabi to Koh Samui. 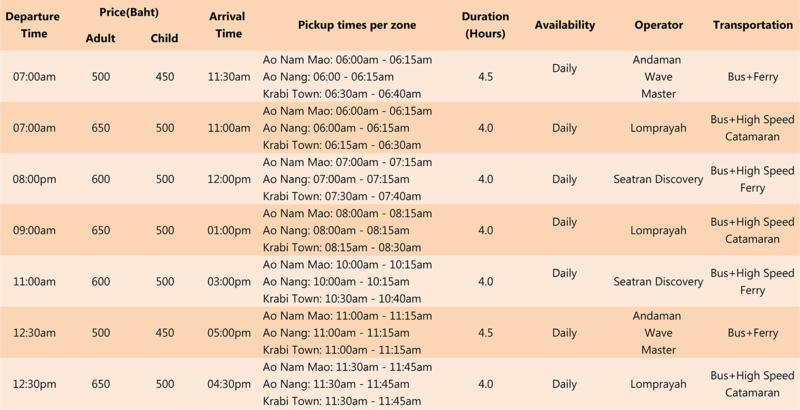 Pick up from your hotel and exact pick-up time will be confirmed by email after your booking complete. 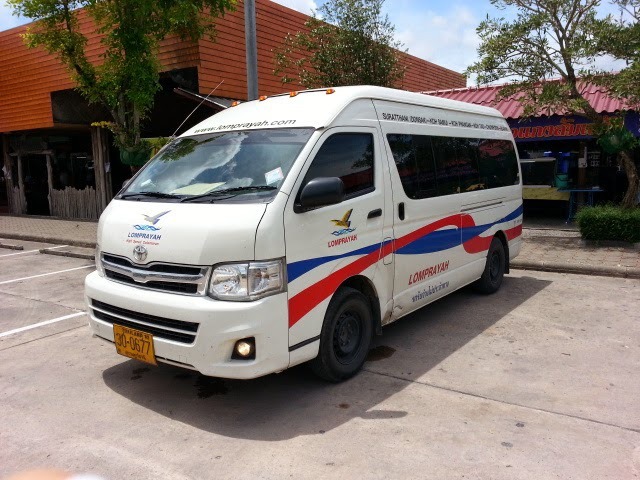 Transfer services to Koh Samui operate daily all year round. 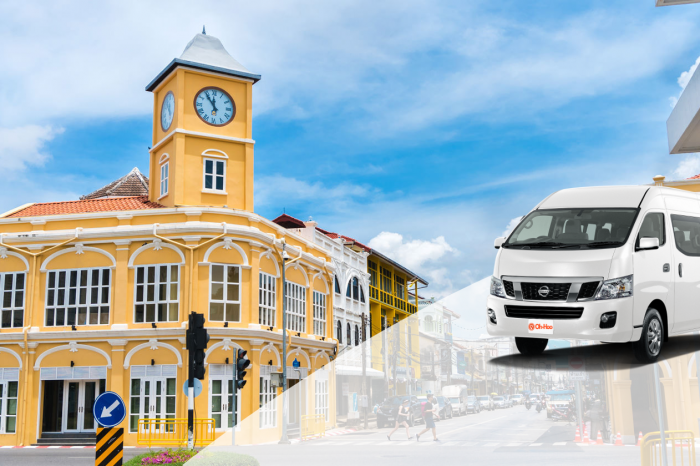 Pickup service by AC Van from your hotel to the bus center. 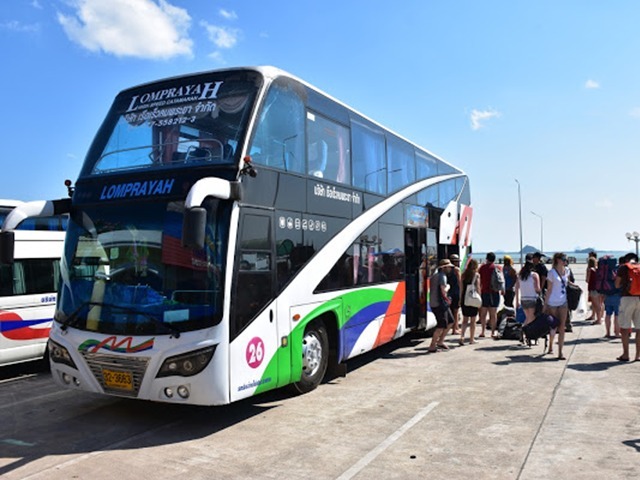 Arriving the bus center ,then take AC Bus to Donsak pier. The passengers are getting on the bus to pier. 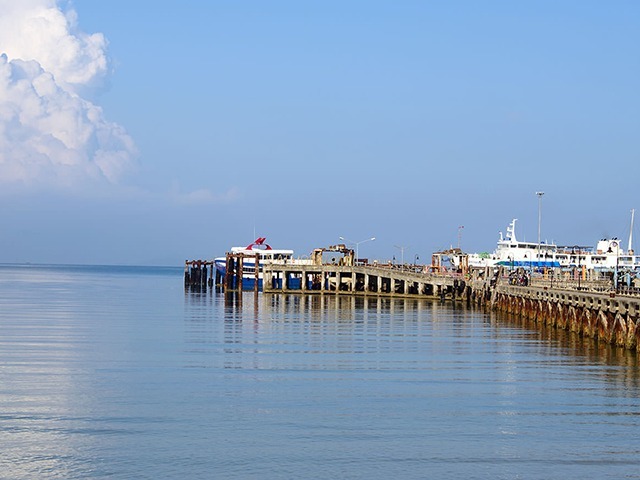 The Ferry arrives the pier and drop off many passengers over there.